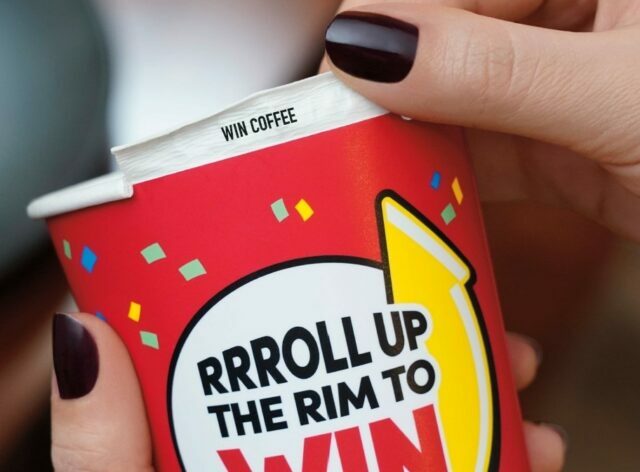 TORONTO, Canada — Tim Hortons U.S. legendary RRRoll Up The Rim To Win sweepstakes is back today with over $4 million in prizes. * For the first time, Tim Hortons and Jeep are partnering to give away a Jeep Compass Latitude 4X4. Guests also have a chance to win additional prizes, including $2,500 Prepaid cards and $50 Tim Cards. It’s easy to play RRRoll Up The Rim To Win. Simply purchase and enjoy a Tim Hortons® freshly brewed coffee, handcrafted espresso beverage, or hot chocolate in a medium, large, or extra-large. Once empty, roll up the cup rim to see if you’ve won. RRRoll Up The Rim To Win® runs from February 6 until March 13, 2019, or while cup supplies last. Prizes can be redeemed until May 3, 2019. No purchase is necessary to enter or win. Official Rules, free method of entry, odds of winning and prizing information can be found at participating Tim Hortons Restaurants or at RollUpTheRimToWin.com. *Not open to residents of Rhode Island, Arizona, Hawaii, Florida, Alaska, Puerto Rico. Void where prohibited by law. Ages 18 or older.